Experience three world-heritage sites -- the "marvelous city" of Rio de Janeiro, the thundering cataracts of Iguazu Falls and the colonial charm of Salvador da Bahia. From a deluxe beach view room in one of the world's legendary hotels, the Copacabana Palace, to a deluxe falls' view room in Hotel das Cataratas and a junior suite in the four-century-old Convento do Carmo, our Brazilian Rendezvous will intrigue you at Brazil's iconic destinations. In each, you will enjoy the unsurpassed luxury of a masterly itinerary, private guides with chauffeurs, regal accommodations and gourmet cuisine. 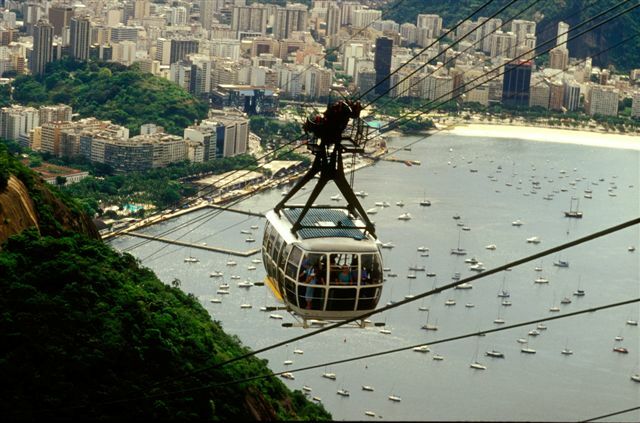 On this romantic getaway, hot Rio nights, nature's grandeur and living history await. The land price includes escorted transfers, private excursions (except boating excursions on Day 5 and Day 7), professional guides and chauffeurs, entrance fees, selected category of accommodations, gourmet cuisine (except drinks), all land and water transportation (except boating excursions on Day 5 and Day 7), and travel insurance for guests through the age of 59 years (over that age, there is a supplementary fee). All prices are per person based on two people sharing a guest room. For a detailed description of our services, see Opulent Itineraries. 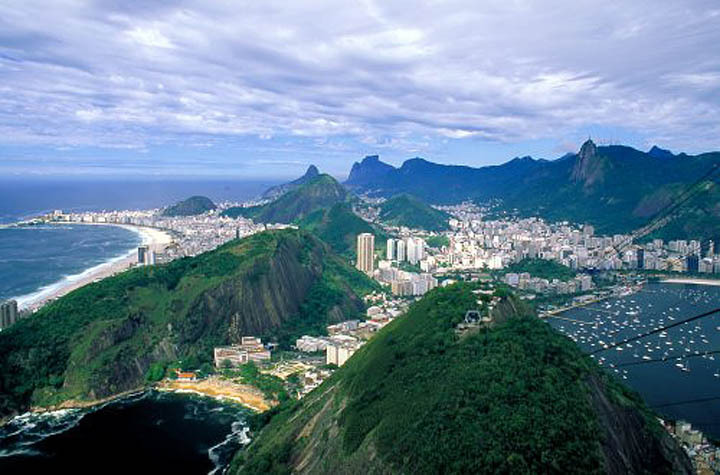 Visitors from the United States, Canada, Australia and New Zealand need a visa to enter Brazil. We recommend arrival on a Thursday or a Friday to avoid changes in the itinerary due to museum or restaurant closures. Day 4: Rio - Iguazu Falls (Bird Park). Transfer to the airport. Flight to Iguazu Falls, reception and drive to La Rueda for lunch before continuing to the Parque das Aves (Bird Park), where rare and colorful birds fly in huge aviaries. Guests are able to enter these aviaries and view the birds at close quarters as well as see alligators, anacondas, pythons, marmosets and butterflies. Arrival at Iguazu Falls, considered by many the most spectacular waterfall in the world, perhaps because of the more than 200 streams that suddenly appear from the rainforest to form a myriad of cataracts, large and small, which mingle and blend so graciously with the surrounding vegetation. For this reason, the falls have been declared a World Heritage Site. 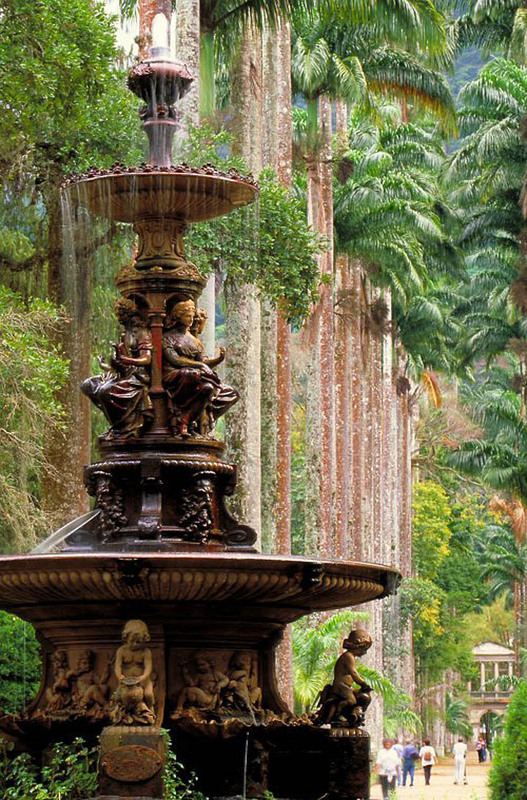 Just a short stroll away is your hotel, the beautiful Portuguese-colonial style Hotel das Cataratas by Orient-Express. Dinner on the veranda of the hotel's Itaipu Restaurant or adjacent to the pool in the Ipê Grill. Overnight in Hotel das Cataratas by Orient-Express -- De Luxe Room with Falls View -- King Bed. Day 5: Iguazu Falls (Argentine Side). Full-day visit of the Argentine side of Iguazu National Park. Walking with a naturalist guide on the Yacaratia Trail, guests will observe the incredible diversity of plants and animals as well as the many beautiful cataracts. Lunch at Garganta del Diablo. In addition to the walk, there will be a shared navigation to reach the falls. Dinner and overnight in Hotel das Cataratas by Orient-Express -- De Luxe Room with Falls View -- King Bed. Day 6: Iguazu Falls (Brazilian Side) - Salvador da Bahia. Morning walking excursion on the Brazilian side of Iguazu Falls. Lunch at Cuisine du Ciel before your flight to Salvador da Bahia. Reception and transfer to the Convento do Carmo, a former convent that dates back to 1586. Dinner and overnight in the Convento do Carmo -- Junior Suite-- King Bed. Day 7: Salvador da Bahia (Colonial Quarter & Folkloric Show). Full-day historical and panoramic tour of Salvador. By far the most significant site visited during the excursion is the cobblestoned Pelourinho district -- the heart of Salvador’s Old Town. This World Heritage Site is considered by Unesco a highlight of XVII and XVIII century colonial architecture. Lunch at Amado. In the afternoon, the excursion proceeds to offer to guests various beautiful panoramic views of the city. Visitors then go to the Mercado Modelo, Bahia's largest arts and crafts center. Tonight, an impressive folkloric show by the renowned Balé Folclórico da Bahia. 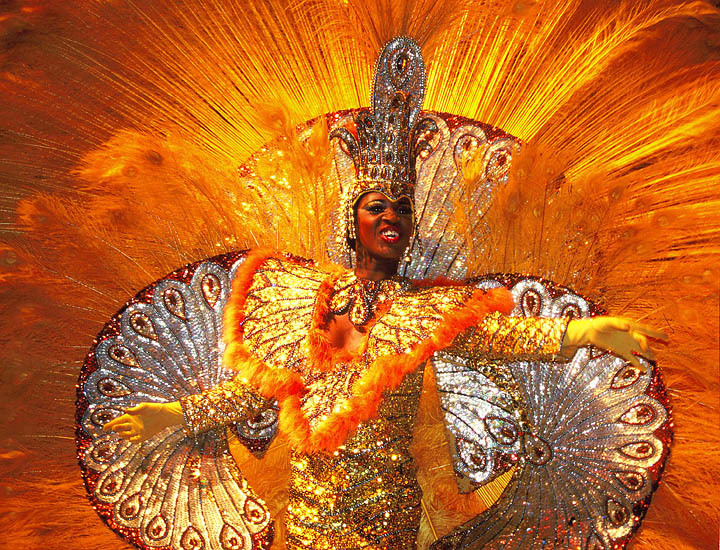 In Salvador, the dances and musical styles are more traditional, religious, mystical and African, in contrast to the show in Rio, which is focused on the Samba. After the show, a dinner at María Mata Mouro. Overnight in the Convento do Carmo -- Junior Suite-- King Bed. Day 8: Salvador da Bahia (Island Schooner Excursion). At the harbor, depart with other passengers on a schooner for an all-day tropical island excursion. At Ilha dos Frades, we drop anchor at Praia de Ponta de Nossa Senhora and spend two hours relaxing and swimming. Afterward, we arrive at Ponta de Areia on Ilha de Itaparica, the largest island in the bay, to taste delicious Bahian cuisine at the Kirymuré restaurant, watch a Capoeira show and enjoy the beach. As the sun sets, passengers return to the schooner for the trip back to the port of Salvador. Return to the hotel. Dinner and overnight in the Convento do Carmo -- Junior Suite-- King Bed. Day 9: Salvador da Bahia - Rio de Janeiro. Transfer to the airport for your flight to Rio de Janeiro and connection home. Day 10: Rio de Janeiro - Home. Overnight flight and arrival home. View of Rio de Janeiro, Southeastern Brazil. Parque das Aves, Iguazu Falls, Southern Brazil. Video: Parque das Aves. 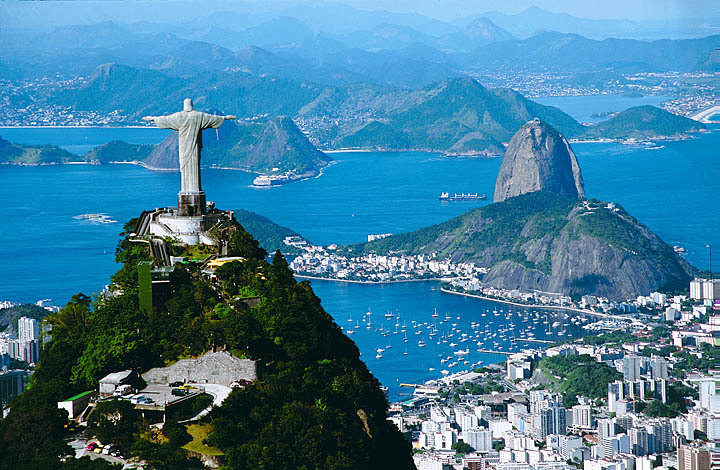 Luxury Brazil Tours & Luxury Brazil Travel. Breakfast. 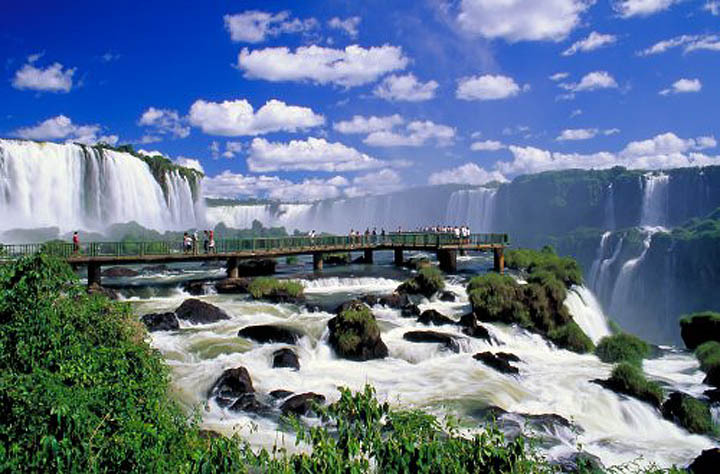 Full-day visit of the Argentine side of Iguazu National Park. The park, a World Heritage Site, extends over 220,000 acres (67,000 hectares) and protects one of the areas of greatest biological diversity in the country: the Paranaense subtropical rainforest, a continuation of the southern Brazilian jungle. It has more than 2,100 known plant species. The rainforest, with a canopy exceeding 120 feet in height, is a natural frame for the spectacular Iguazu Falls, composed of more than 270 individual waterfalls. Surrounding them are jungle paths, where a variety of wildlife is frequently encountered. Walking with a naturalist guide on the Yacaratia Trail, guests will observe the incredible diversity of plants and animals as well as the many beautiful cataracts stretching for several miles along the river. Enjoy lunch at Garganta del Diablo. In addition to the walk, there will be a shared navigation to reach the falls and a crossing to San Martín Island. Dinner and overnight in Hotel das Cataratas. Video: blueplanetvideos.com. 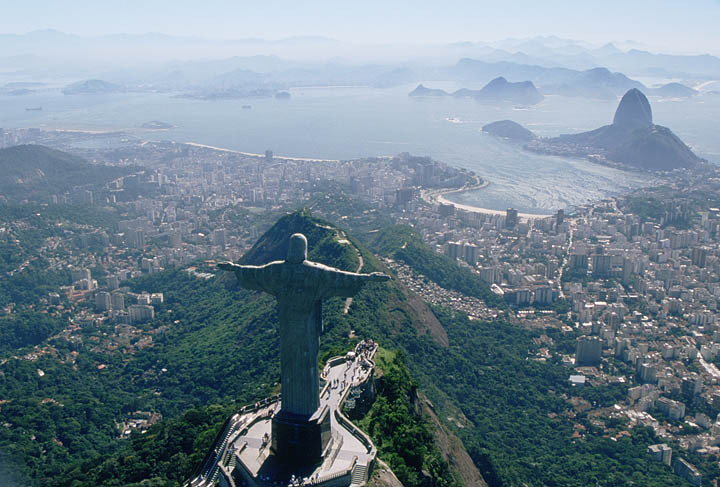 Luxury Brazil Tours & Luxury Brazil Travel. Breakfast. Morning walking excursion on the Brazilian side of Iguazu Falls. Lunch at Cuisine du Ciel before a transfer to the airport for the flight to Salvador da Bahia, originally called São Salvador da Bahia de Todos os Santos, in English: "Holy Savior of All Saints' Bay"). Reception and transfer to the historic Convento do Carmo. The Convent, initially built in 1586 by the First Order of Carmelite Friars, has been throughout the centuries the stage for many significant events of Brazilian history. Nowadays, after careful restoration, it is the most luxurious hotel in the city. Within the convent’s whitewashed stone walls, tranquility awaits. Graceful cloisters are atwitter with birds. Pitched-beam ceilings and 19th-century antiques evoke Salvador’s past. A small spa offers an impressive range of treatments, and the central courtyard, with its lovely stone fountain transformed into a wading pool, is an ideal place to relax over a caipirinha with lime and maracujá (passion fruit). Dinner and overnight in the Convento do Carmo. Breakfast. Full-day historical and panoramic tour of Salvador. 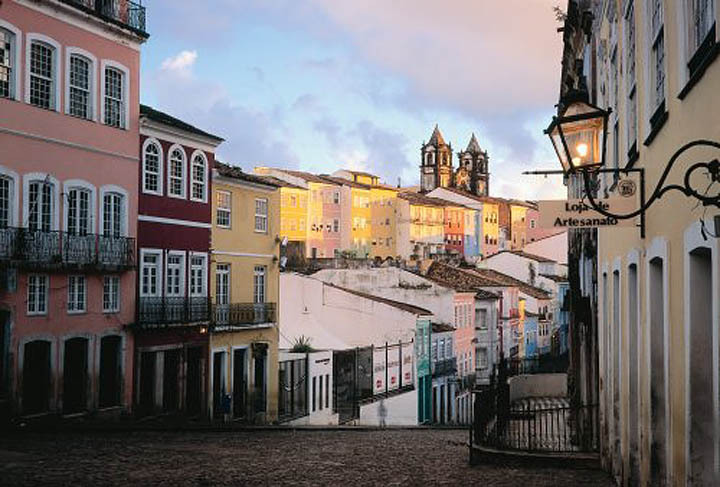 This charming excursion first takes guests through the historical heart of the city -- the Cidade Alta, revealing some of the first streets laid in Bahia. The excursion begins at Farol da Barra, a lighthouse that now functions as the city's nautical museum. The excursion then proceeds in the direction of Porto da Barra, from where one can see the Santa Maria and São Diogo forts. 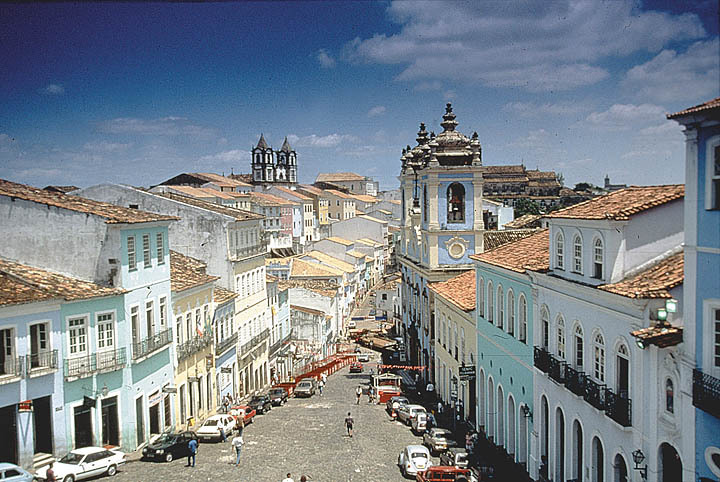 From here, the tour moves on to Salvador's more traditional neighborhoods, namely Corredor da Vitória, Campo Grande and Piedade. By far the most significant site visited during the excursion is the Pelourinho, the historical center and a World Heritage Site, considered by Unesco to be a highlight of 17th and 18th century colonial architecture. Clinging to the steep terrain, the picturesque colonial houses and churches (such as the Igreja do São Francisco), artistically decorated in a myriad of colors, make this enchanting part of town a must for anyone visiting Bahia. Lunch at Amado. In the afternoon, the excursion proceeds to offer to guests various beautiful panoramic views of the city, plus the famous Bonfim Church, which hosts a range of religious events, the most important, perhaps, being the Lavagem do Bonfim, or washing of the steps. Guests then go to the Mercado Modelo, Bahia's largest arts and crafts center. Breakfast. At the harbor, depart with other passengers on a schooner for an all-day tropical island excursion with exotic fruit, live music and a bar on board (drinks not included). Bahia de Todos os Santos (Bay of All Saints) is one of the most beautiful bays in Brazil and certainly the largest. It has many tropical islands with paradisial beaches and vegetation. At Ilha dos Frades, which has the shape of a 15-point star, we drop anchor at Praia de Ponta de Nossa Senhora and spend two hours relaxing and swimming in the warm, clear waters of one of the pristine beaches. On this island, slaves coming from Africa were placed in quarantine to gain weight before being sold in the city. Afterward, we arrive at Ponta de Areia on Ilha de Itaparica, the largest island in the bay, to taste delicious Bahian cuisine at the Kirymuré restaurant, watch a Capoeira show and enjoy the beach. As the sun sets, passengers return to the schooner for the trip back to the port of Salvador. Transfer to the hotel. Tonight, an impressive folkloric show by the renowned Balé Folclórico da Bahia at the Teatro Miguel Santana. The theater is set in a beautiful 18th century architectural complex comprising a main house (Casa Grande), a chapel and outlying slave quarters. 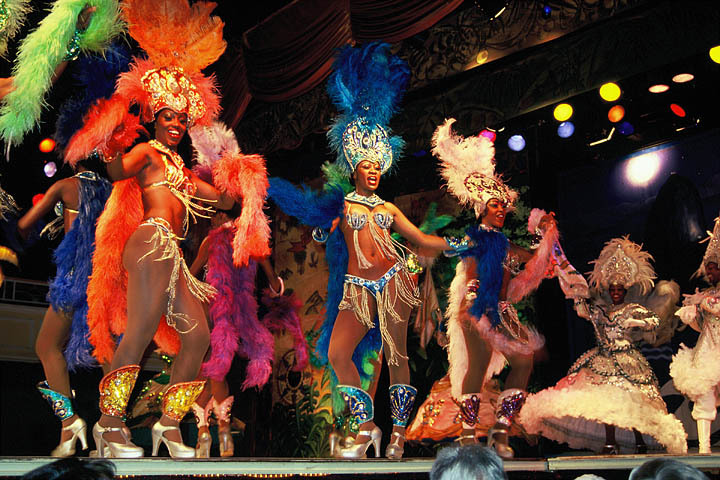 In Salvador, the dances and musical styles are more traditional, religious, mystical and African, in contrast to the show in Rio, which is focused on the Samba. After the show, a dinner at María Mata Mouro. Return to your hotel. Dinner and overnight in the Convento do Carmo. Breakfast. Transfer to the airport for your flight to Rio de Janeiro and connection home.